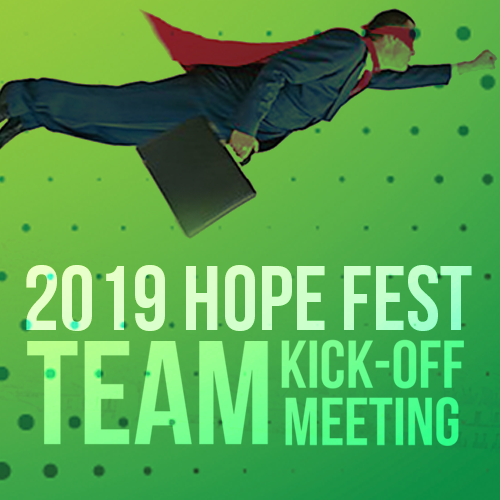 Join us on April 24th for our Team kick-off meeting for Hope Fest 2019. We're looking for individuals who have "super" skills that want to give back to their community! Meeting times are at 7:00 am and 5:30 pm to accommodate work schedules. If you cannot make it during one of these times, please contact us for more information.